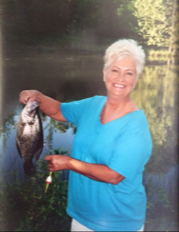 Ms. Betty Wright, age 79, of Goodlettsville, passed away peacefully surrounded by her family on Saturday, December 1, 2018 after battling a hard fight with cancer. Betty was born on September 16, 1939 in Nashville, TN to the late Albert and Cora Horn. She is also preceded in death by her husband, JoeWright; and seven siblings. Betty had a very outgoing personality, and she enjoyed spending time dancing and celebrating life with family and friends. One of her hobbies was crocheting afghans and scarves that she gave away frequently. She will be greatly missed by her family and friends. Betty is survived by her children, Kevin Gann, Donna Gann, Terrie Scott, Betsy Wright, and Brett Wright; six grandchildren, and four great grandchildren. A life celebration for Betty will 10am, Wednesday, December 5, 2018 in the chapel at Cole and Garrett Funeral Home in Goodlettsville. Family will receive friends on Tuesday evening from 5-8pm and again one hour prior to the service on Wednesday. Cole and Garrett Funeral Home are entrusted with arrangements. 127 N Main Street, Goodlettsville TN 37072. Would love to be there with all of you but sure you do not want the illness we would bring. Glen and I are so sorry to hear this. So beautiful inside and out. She will be missed. Love to all and sorry we cannot be with you. We will miss her. She was a Wonderful person.